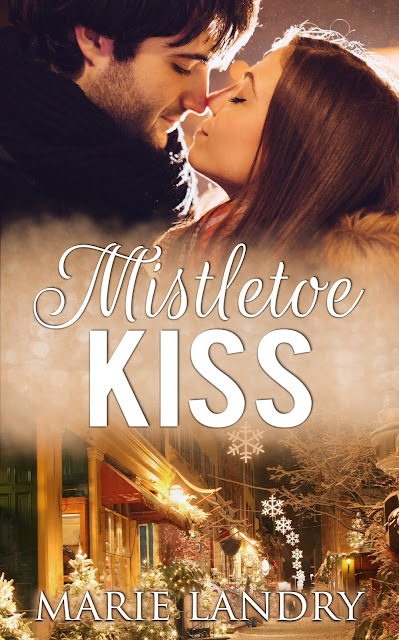 It’s Mistletoe Kiss release day! This sweet, fluffy, funny Christmas novella is available now on Kindle, Kobo, iBooks, and Nook for just 99 cents! Bridget Higgins hasn't allowed herself to think too much about fairytales or the magic of Christmas since her dad died. Her life has been dedicated to work, her mom, her best friend Ivy, and little else. But when her kind and gorgeous boss, who she's secretly had a crush on for the last three years, offers her a night of fun on top of an unexpected Christmas bonus from work, Bridget starts to remember what it's like to believe in magic and fairytales once more. To celebrate the release of Mistletoe Kiss, I’m going to try something I’ve never done before but have always wanted to: a photo contest! As an indie author, my reach only goes so far and my budget is only so big. (Confession: It’s tiny.) I’ve been a bookstagrammer for a few years now, and that amazing community is where I feel most comfortable online. I love being part of a group of people who are so passionate about books and use their passion and creativity to take beautiful bookish pictures. Because of my love of the community, I was inspired to do a photo contest. I’ve talked before about the impact and importance of bookish photography, and I’m hoping people will participate in this contest and help me spread the word about Mistletoe Kiss. While I know many of you would do it out of the goodness of your hearts, I thought a little extra incentive wouldn’t hurt! 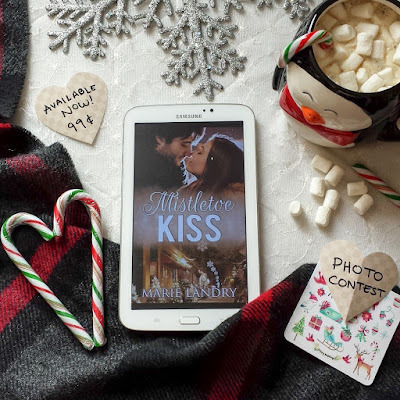 For every picture you post featuring the cover of Mistletoe Kiss - something simple, an elaborately styled bookstagram pic, you holding your ereader with the cover, even the book mixed in with other books - you’ll get one entry. Be sure to tag me (@sweetmarie_83) and use the hashtag #MarieLandry so I’ll see your pictures! Don’t have Instagram? That’s okay! Post your pictures on Twitter and tag me (@SweetMarie83) or post them on my Facebook page (Marie Landry, Author). That’s it! That’s all you have to do. Post a picture of Mistletoe Kiss, tag me, use the hashtag. You can post as many times as you like between now and December 16th, and each picture will count as an entry. If you’d like an extra entry, post about this contest in your Instagram stories or on Twitter and tag me. I’ll share some of my favourite pics in my Instagram stories, and as an extra thank-you for taking the time to share my book, I’ll also share your pictures here on the blog, in my newsletter, on Twitter, and on my Facebook fan page. I’ll always include your handle and/or a link back to your Instagram or Twitter and encourage people to give you a follow!